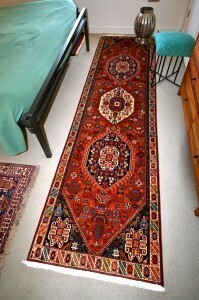 Runner rugs is a term that is used to describe rugs that are long and narrow. These rugs are usually rectangular in design, although you can also find them in a few other unusual shapes too. 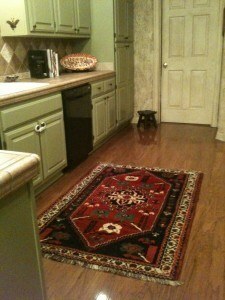 Whatever the shape, the length of a runner rug is often several times more than their breadth. Runner rugs are usually placed on staircases, narrow hallways, bedrooms, the entrance of the home, the kitchen and in the bathroom in front of the sink. 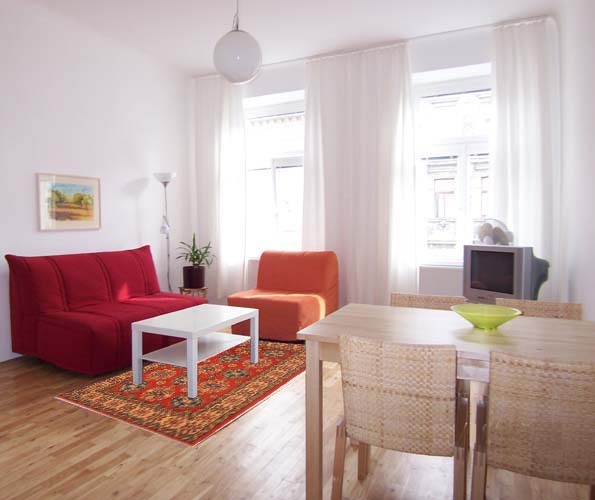 Runner rugs provide several interesting benefits in your home. 1. Not only do they look good and add to the décor of your home but they also add an element of protection especially if you have hardwood flooring or any other kind of hard flooring that is more prone to getting damaged particularly in high traffic areas. 2. They also make hardwood floors more comfortable to walk on and provide better traction that helps reduce the chances of anything slipping over the smooth hardwood floor surface. Instead of a cold hard slippery floor, a runner rug provides you with something warm, comfortable and safe under your feet. 3. 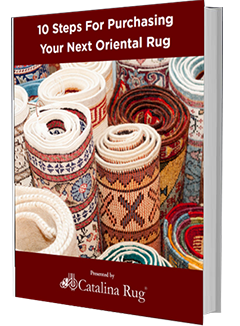 Because of their narrow width, these rugs are ideal for placing in smaller areas where a larger rug may not be the most suitable. 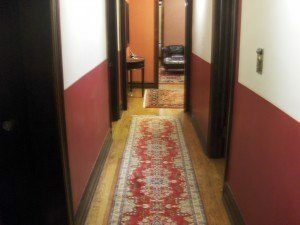 This is one of the primary reasons why these types of rugs are so popular with homeowners who use them as an easy way to transform a long cold hallway, a bedroom floor or a bathroom from drab and dull to warm and brilliantly colorful. Runner rugs immediately make the place come alive and add character and comfort. What’s more, it does not involve taking the time to set up anything. You just place the rug on the floor and that’s it. Hallways and entryways generally tend to look rather stark and drab. These rooms tend to be smaller than most other rooms and they can easily look cluttered if you add too many things to the room. Most homeowners tend to ignore these spaces and just leave them be as they feel the available space is too small to do anything much in. However, it does not have to be all or nothing. Simply placing a brightly colored runner rug in the entryway can make a world of a difference. It will help all of your guests make a dramatic entrance and gives them a warm welcoming feeling. You can choose to use informal or formal runner rugs in these spaces depending on the kind of ambiance you are trying to create. The kind of runner rug you place in the entryway can set the mood for the other common areas in your home. Using a runner rug in the hallways will automatically separate the private areas of your home such as the bedrooms from the other common areas such as the dining room and kitchen. It’s great to get out of bed and have something soft and warm to place your feet on. 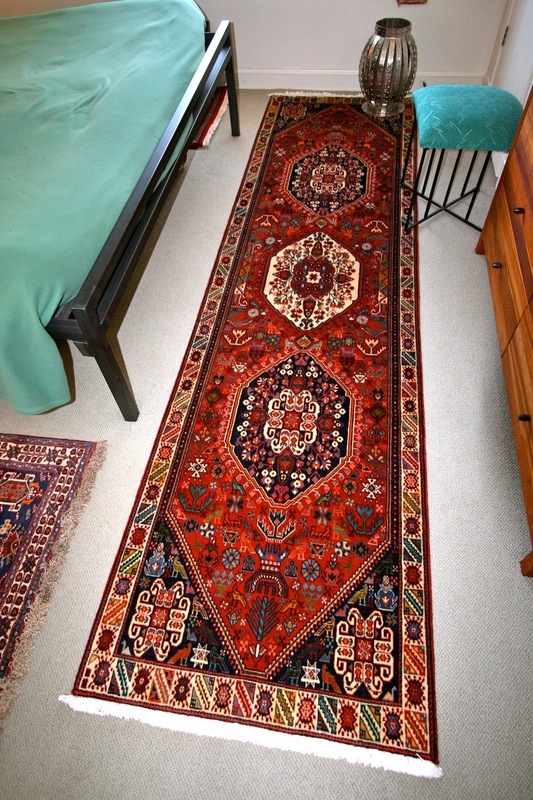 However, if you place a regularly sized rug, a major portion of rug tends to end up hidden under the bed. Using a runner rug here is the ideal solution. It’s their narrow, long shape that makes rug runners so perfect to use in this space. Runner rugs are available in a wide range of sizes and you are sure to be able to find a rug to fit the smallest floor space or even the oddest shaped floor space in your kitchen. A colorful runner can help soften the hard lines that you usually see in kitchens and it also adds color and character to the room. Most homes tend to end up having several small, narrow spaces between other furniture especially in the dressing areas, walk-in closets, pantries, and even laundry rooms. A runner rug placed over these areas can help create an attractive focal point and draws attention away from the fact that the room has a less than generous size. 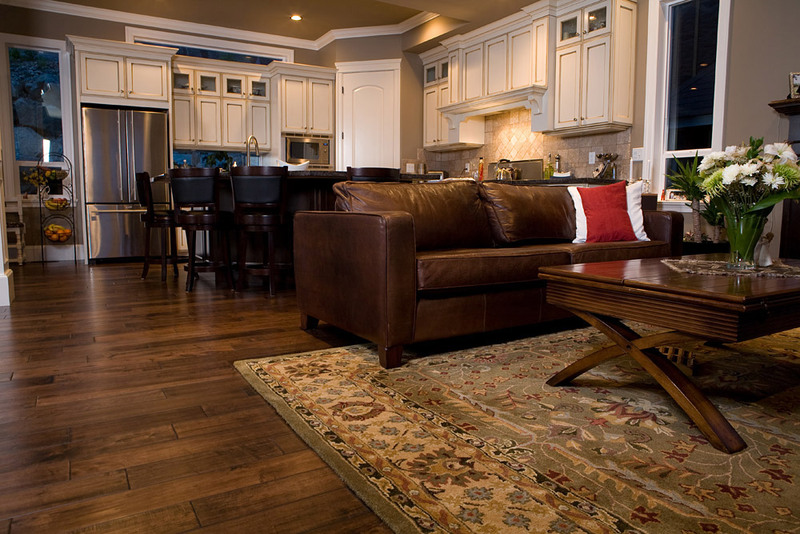 In areas that have high traffic, a rug provides a comfortable surface to walk on. 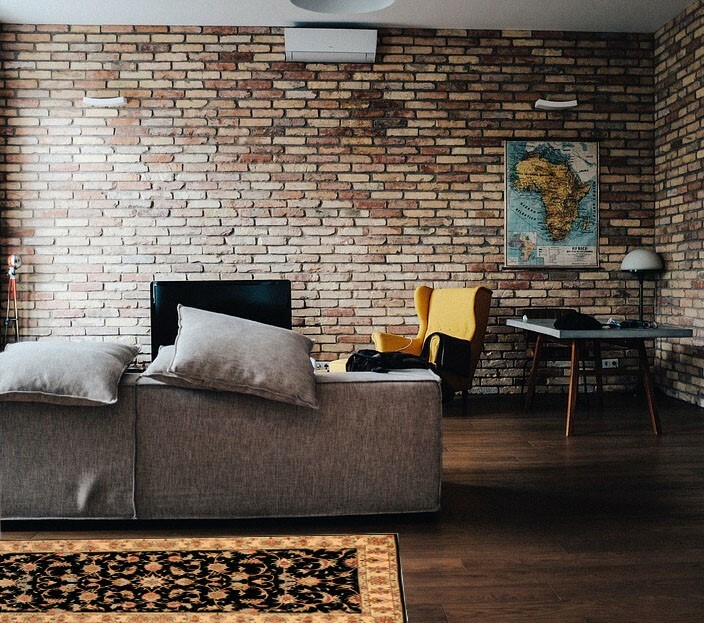 When looking for a rug in this area it is a good idea to choose one that has darker colors as a light colored rug will begin to look dirty sooner. Another important factor that you should keep in mind when looking for a rug for high traffic areas is to choose a durable rug that will be able to withstand all of the traffic. 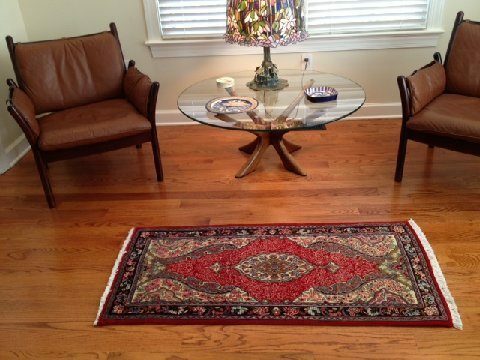 A handmade rug will always be more durable than a rug that is machine made. 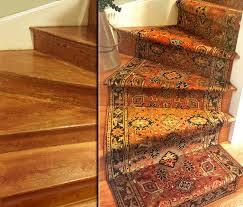 Runner rugs provide plenty of styles as well as functionality when used on staircases. Staircases are usually made of hardwood and while these look truly classy and elegant, they can be slippery and dangerous if you are walking around in socks or even in your bare feet. A stair runner can add loads of style to this space while providing you the additional comfort and safety that you seek. One of the most distinctive features of stair runners is that the length is several times bigger than the width. When you use stair runners, it is important to remember that the runner should be properly secured to the surface of the floors so the rug itself does not slip off the stairs, posing a real danger walking down or up o them.